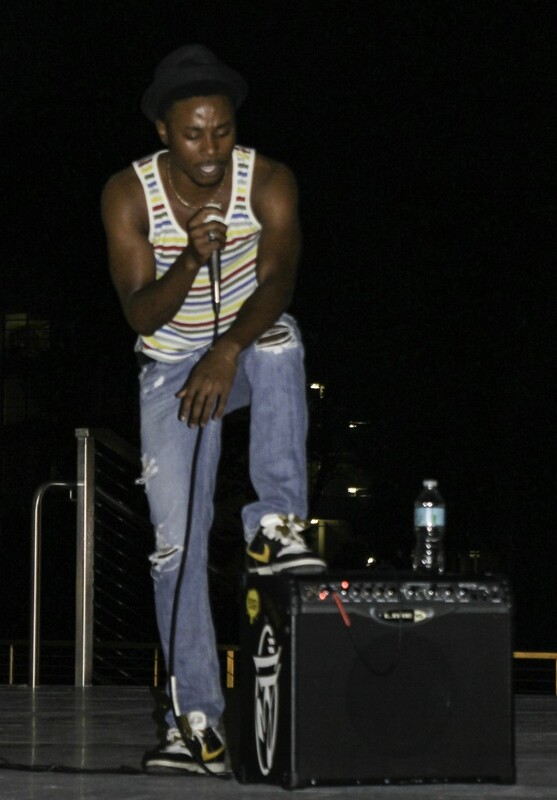 Singers, rappers, guitarists and dancers showcased their talents at the Mental Health Awareness Talent Show, a fundraiser hosted by Active Minds at the U and held at the University Center Patio Thursday night. Active Minds is an organization that campaigns to erase the stigma of seeking help for mental health concerns. The talent show served as a fundraiser, allowing people to donate either during the show or online via GoFundMe.com, a personal fundraising website. Donors from the organizations that participated in the talent show could select their organization for the fundraiser competition. So far, UM organizations, faculty and students have donated $5,075 of the fundraiser’s $6,000 goal. Almost $300 was raised at the talent show alone. The organization that raises the most money for Active Minds at the U will have the honor of sponsoring Send Silence Packing, a suicide awareness exhibit that will be held on the Green on Oct. 9. The winner has yet to be announced. Donations are still being accepted online at GoFundMe.com. Performers came from campus organizations such as Miami Motion, Rhythm Nation, Alpha Delta Pi, Chi Omega and Kappa Sigma. Talents ranged from choreography to guitar and vocal covers to indie rap. Pearl-Schwartz, a senior majoring in psychology, has always been interested in helping people through the mental health field. He was unsure of how to translate this dream into a reality until the summer of 2013, when his fraternity brothers in Kappa Sigma told him that a student had attempted to jump from the roof of a freshman residential hall. Members of Kappa Sigma contacted the police, who were able to help the student. “When I heard about that, it was the spark for me to get this on campus,” Pearl-Schwartz said. Last fall, he revived the University of Miami’s inactive chapter of Active Minds. In the past year, the organization has grown from three executive board members to 35 active members and a host of irregular participants. To expand Active Minds at the U, Pearl-Schwartz enlisted the help of his fraternity brothers. Alex McGuire, the philanthropy chair of Kappa Sigma, has been inspired by Pearl-Schwartz to get the fraternity involved with more community activities that promote mental health awareness. Active Minds at the U has donated $5,000 to the national Active Minds organization. It has also successfully applied to be a host of Send Silence Packing. On Oct. 9, 1,100 backpacks, representing the number of college students who commit suicide each year, will be displayed at the Green. Two hundred of these backpacks contain pictures of the deceased and words from their loved ones. According to the Active Minds website, suicide is the second leading cause of death among college students. The National Alliance on Mental Illness also reports that one in four college students have a diagnosable mental illness. Yet because of the fear of the stigma of mental illness, many people don’t get help until it’s too late. Through upcoming events such as Send Silence Packing and National Day Without Stigma, Active Minds at the U hopes to remove stigmas behind mental health problems and encourage those who suffer to seek help. Jillian Kernan, a member of Chi Omega, was touched when someone from her chapter made an announcement about Active Mind’s cause.